Ghee is the love of my life. My story with this healthiest of the healthy fats is a story with a happy ending. Ghee has myriad health benefits, not least being the best one to fry with. You might have heard about fats going rancid or turning into those harmful, trans fat ones when heated. Ghee does not go bad quickly. In fact Teflon goes bad before ghee does. So, if you need to enjoy fried food, make sure you fry it in ghee. I have even changed olive oil in my Italian kitchen to ghee. I add the olive oil at the end of cooking so that it keeps its good qualities and I get the flavour I want. When good quality ghee is used in reasonable quantities it reduces blood cholesterol, enhances digestion and metabolism. In fact, the gut produces ghee on its own, called butyric acid, and without it the gut cannot function properly. Ghee is also brain food, it nourishes and lubricates the nervous system and is very good for the eyes. In fact, I often prescribe an application of ghee straight into the eyes for those having problems with dryness, heat and tiredness. I also heal eye infections with ghee, the last one being those of my 3-year-old. Talk to my previous receptionist. She had an infection in both eyes and it was dealt within three days with a frequent application of ghee. It works wonders. 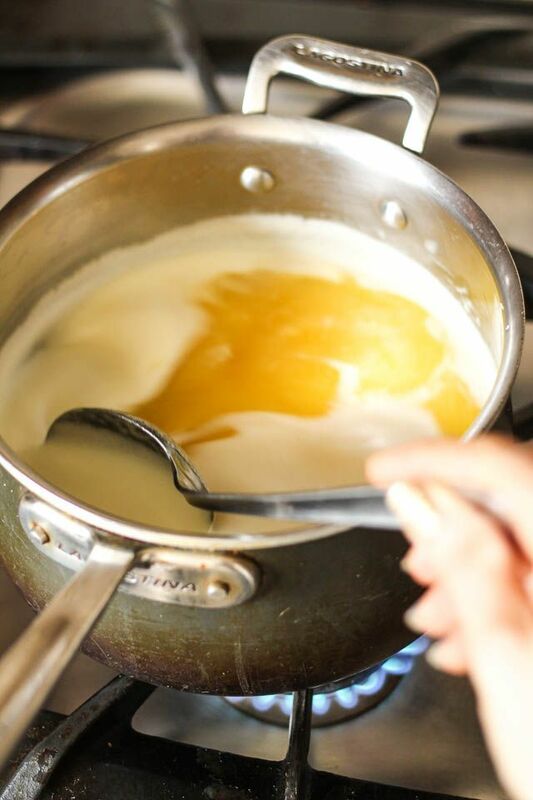 If your hob is too hot to let the butter melt slowly, don’t worry – you can still obtain good ghee by slowly letting it boil for a few hours. The milk solids then come to the surface and you can peel them off and, in the end, pour the mixture through a muslin cloth to get your homemade ghee.